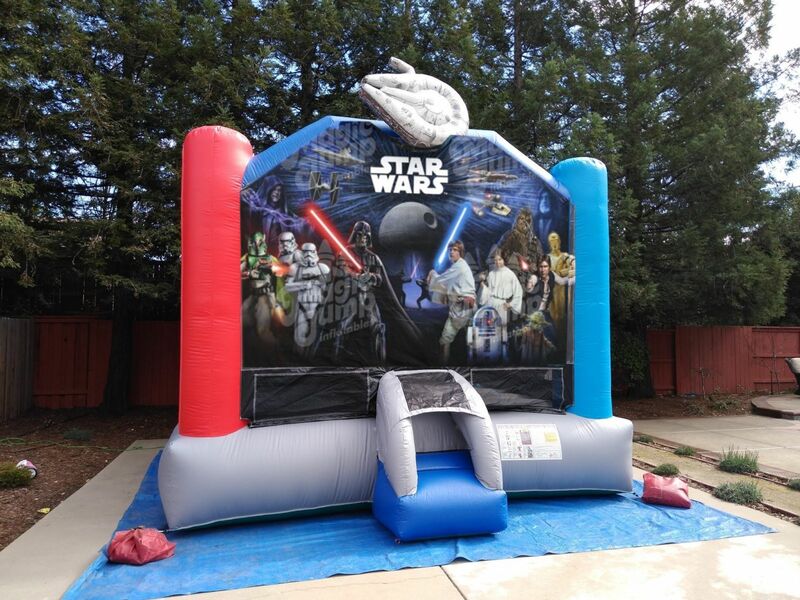 Coming from a galaxy far away to your next party or event is the Star Wars 15x15 bounce house. 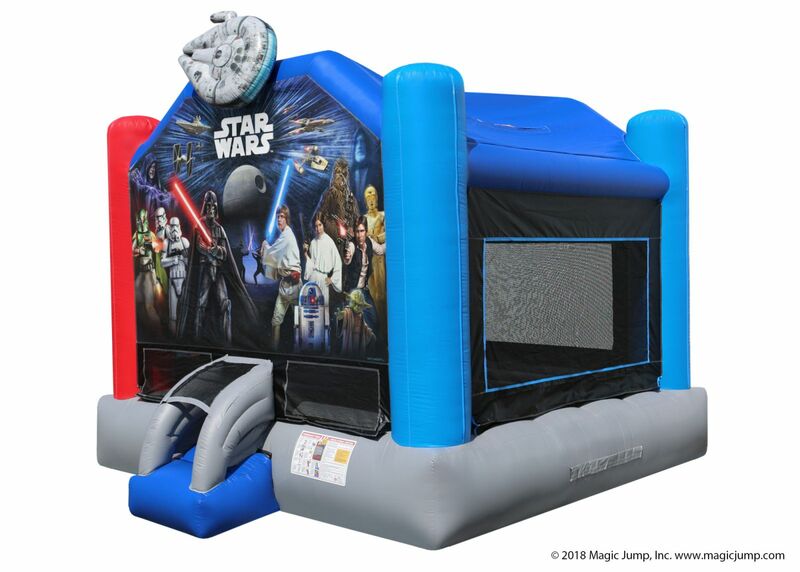 Enouph room for up to 6 Jedi Knights to hop skip or bounce to their hearts content. 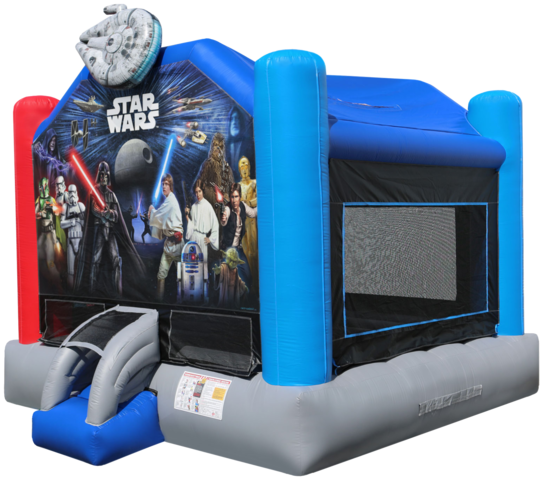 The Star Wars bounce house is designed with fully licensed digital artwork an a unique Millennium Falcon space ship at the top. This epic ride is suitable for all occasions. 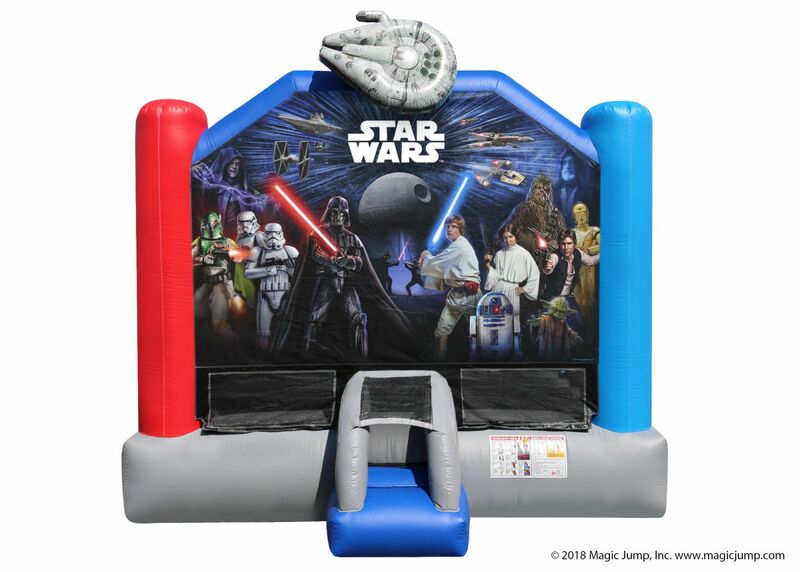 Save the Universe and have a great party at the same time. Additional features includes the safer enter/exit ramp and emergency exit.